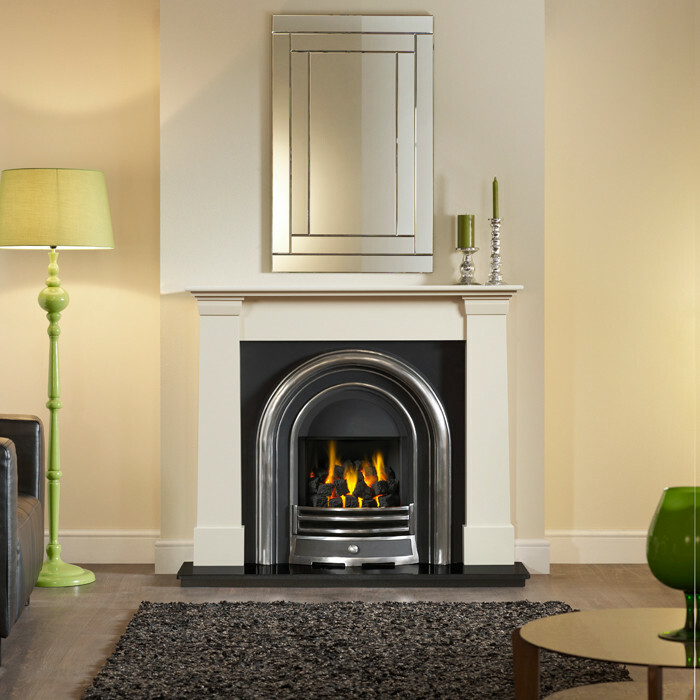 The Gallery Oslo Ivory Micro Marble Fireplace with HE Jubilee Cast Iron Arch consists of the Oslo 54" marble mantel in ivory marble, HE Jubilee cast iron arched insert with cast back and high efficiency gas fire and 54" x 15" hearth. 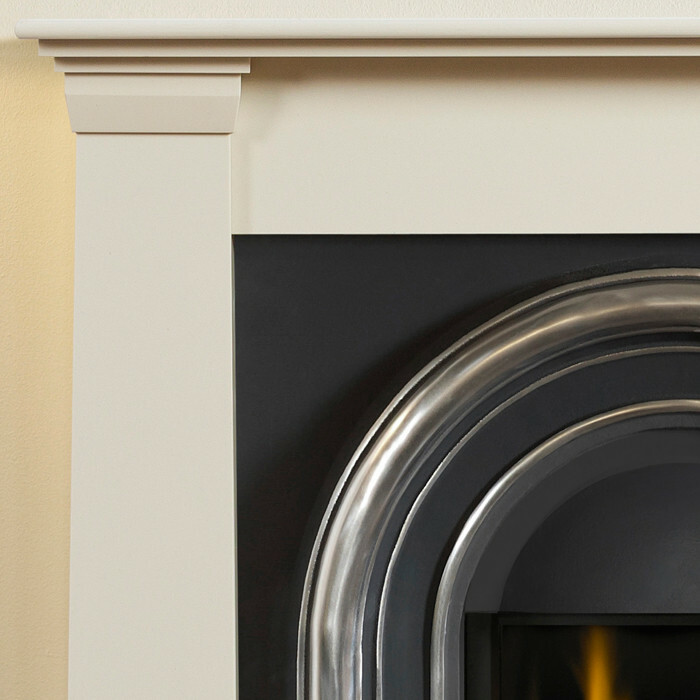 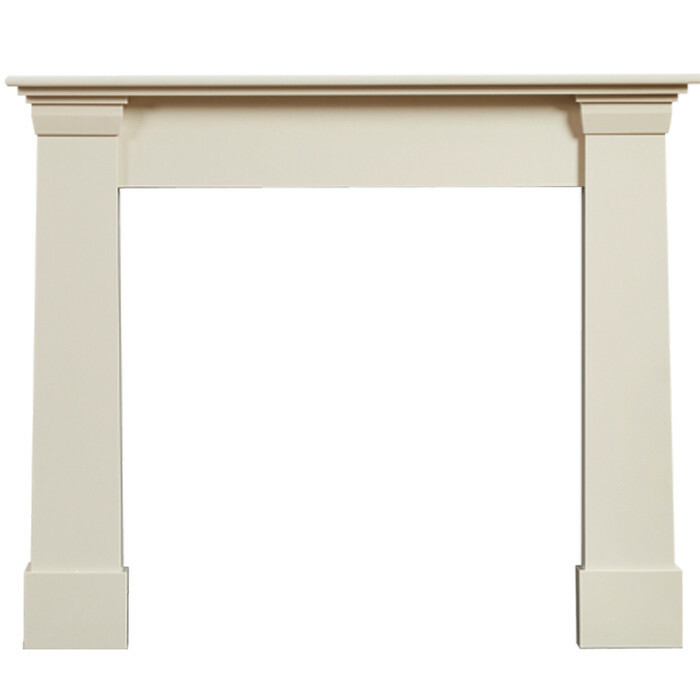 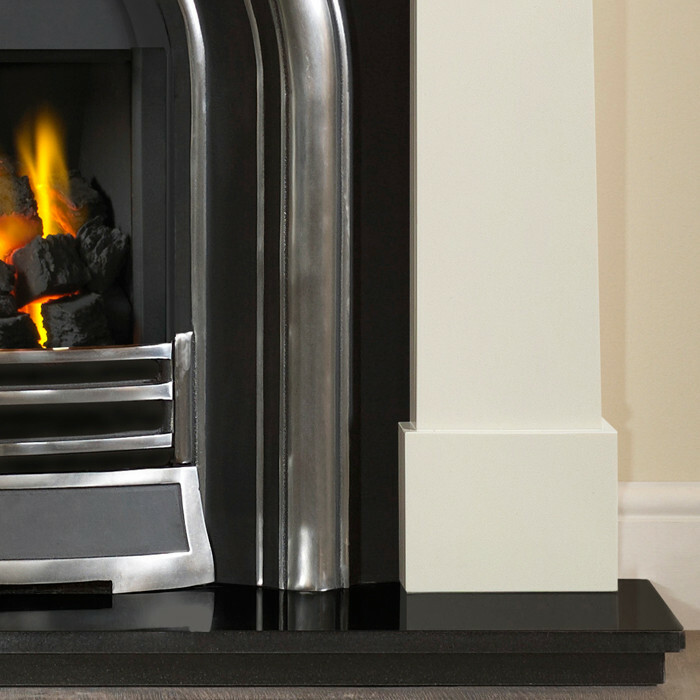 The Gallery Oslo mantel is designed in the style of traditional flat Victorian fireplace surround in ivory marble. 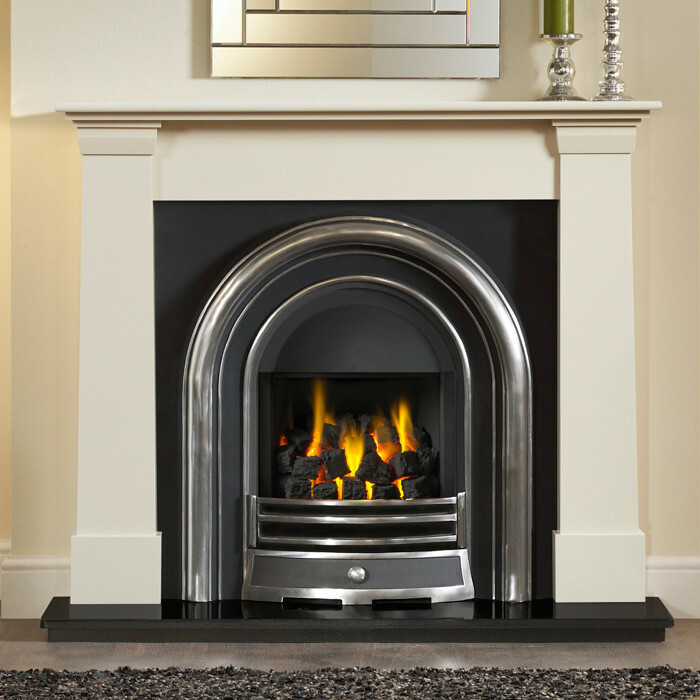 Ivory perla micro marble is an engineered stone, manufactured from crushed marble it gives a smooth polished surface and a consistant colour.